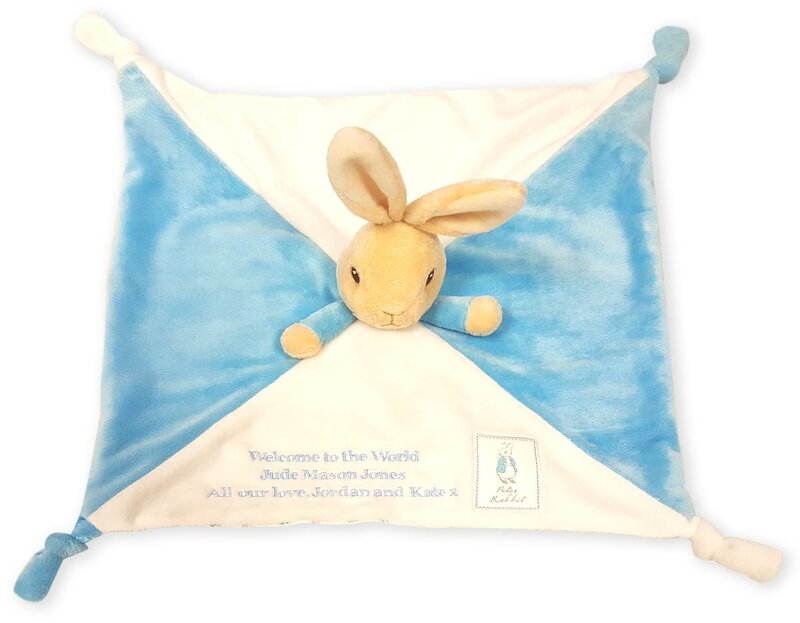 We will embroider your message over 3 lines of 30 characters each including spaces on the white side next to the Peter Rabbit logo. 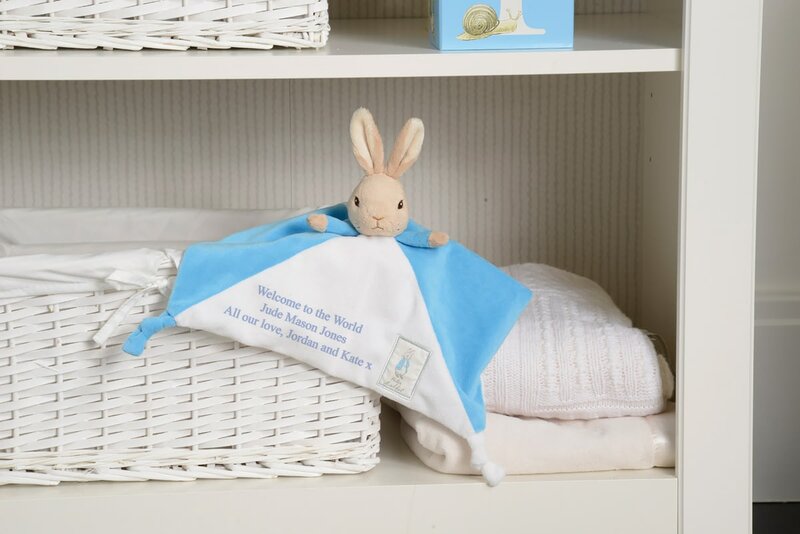 It is machine washable so can be taken everywhere with your little one and restored to new with a quick wash! Dimensions: H: 10cm, W: 30cm and D: 30cm and suitable from birth.